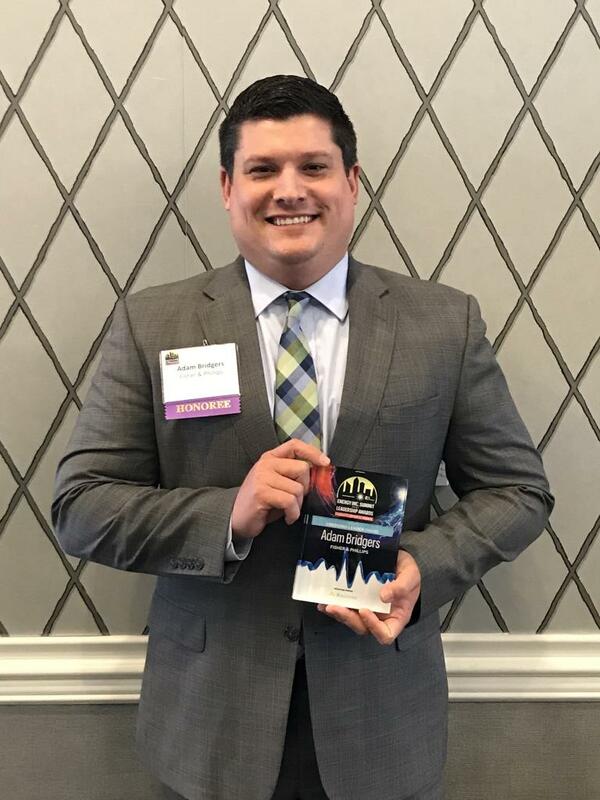 Adam Bridgers with the Charlotte office, received a 2017 Energy Leadership Award in the “Emerging Leaders” category from the Charlotte Business Journal. The awards celebration took place at the 2017 Energy Inc. Summit on Friday, May 12 and honored leadership achievements in the energy industry. Energy Inc. is the region's annual energy business benchmark conference that brings in large multi-national audiences. Bridgers is an active member of the E4 Carolinas Workforce Development Task Force and Carolina’s Energy HR Professionals Forum. He works with members of the energy community to advance professional development within the industry.